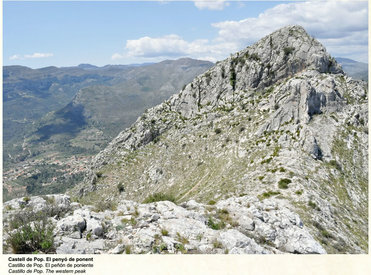 ​Pop (Benigembla - Laguar Valley) is the only castle in the Marina Alta of which there are no structural remains. And this is despite numerous documented references. In the Treaty of the Well (1244/1245) it appears as one the castles which Al-Azraq gave to Jaume I. Later, in fully Christian times (1258), the king donated control of the castle and village of Pop to Encarroç. Referrals continue until the beginning of the 15th century and it was mentioned during the tragic events of the revolt of the Moriscos in the Laguart valley and their expulsion at the end of 1609. 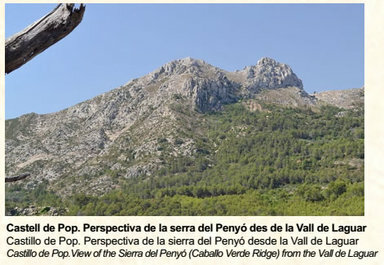 Archaeological evidence (abundant medieval ceramics and even pottery from earlier times) and other sources such as the famous canvas of the expulsion or the Moriscos, place the castle on the twin peaks and coll of the Caballo Verde ridge, facing south, at an altitude of between 740 and 725 m.
The district of Pop embraced the current municipalities of Benigembla, Murla and Parcent with a total of eight farmsteads and a rahal mentioned in the Llibre del Repartiment: Alcanicia, Benalbacar, Benigela (Benigembla), Benilacruçi, Ceylent, Merniça (Vernissa), Parsen (Parcent), Morna (Murla) and Raal Habelbagar. 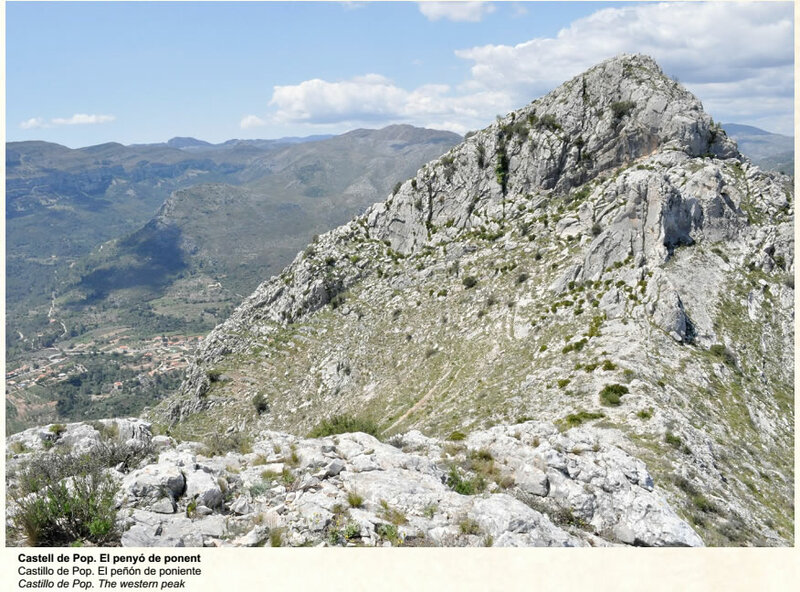 Aixa Castle (Xaló) occupies the top of a mountain range which is flanked to the west by the valley of Llosa and to the east by the river Gorgos. Its location at an altitude of between 605 and 595 m, emphasises its control and refuge function. It was built by the Muslims, probably in the 12th century, although after the conquest it lasted until the 14th century. 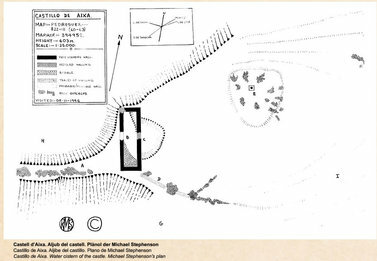 Such a strategic situation explains the earlier use of this site from late prehistory through Iberian and Roman periods. Few visible structures remain. There is a rectangular cistern 9.50 x 2.50 x 2.30 m, without a cover, constructed with a robust facing of pebbles and lime mortar over a metre thick, and the footings of a straight wall about 20m long that delimit the enclosure on the south side. The Llibre del Repartiment lists five farmsteads and two rahals in the Xaló valley area: Cavuy, Curi, Cuta, Moschayra (Mosquera), Beniguagi, Raal Zanaygi y Raal de Nahamen. 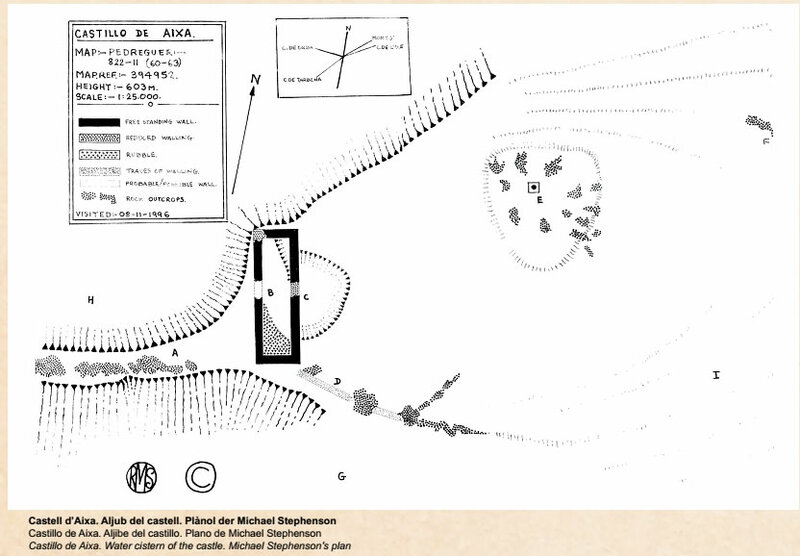 But these were not all, because the donation of the castles of Tàrbena and Xaló that Jaime I made a few years later (May 1269) to the Princess Berenguera Alfonso de Molina includes others: Atrayello, Alquellelin (Alcalalí), Rahal Alinhegui, Rahal Abencurbulin, Allibayt (Llíber), Duran, Benixaloni, Arahal, Albayren, Allanz, Albignen y Axaut.